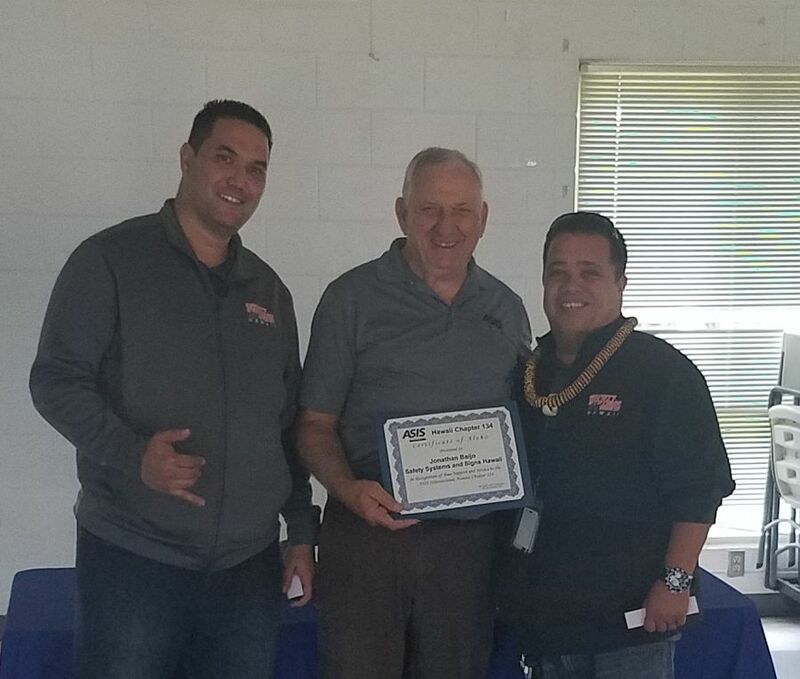 Jonathan Baijo, Account Manager and Trainer from Safety Systems and Signs Hawaii, was our guest speaker at our March 2019 General Membership Meeting. Jon moderated a discussion on AEDs, that included a comparison on various models and upgrades to units. Here, Chair Jim Frame (center) presents a Certificate of Aloha to Jon (left) as Jon’s colleague Alan looks on (right).